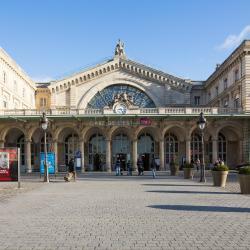 Looking for hotels near Pré-Saint-Gervais Metro Station? 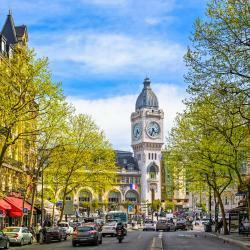 Hotel Scarlett is set in Paris in the Ile de France Region, 1 mi from Place de la République. Guests can enjoy the on-site bar. Every room comes with a flat-screen TV with cable channels. My Home In Paris is located in Paris, an 8-minute walk from Place de la République and features free WiFi throughout the property. Everything! What a wonderful hotel. It is a bit of heaven in a great location. Located in Paris, this former 1930s tap factory now functions as a hotel. I love that this hotel is near the canal and also in the neighborhood where the Parisians live. Located in Paris’ 11th district, General Hotel is just a 5-minute walk from Republique Square and has a fitness center with sauna. The bed was larger than expected and the balcony was a nice feature in the room! Absolute Hotel is located in Paris, on the edge of the trendy Canal Saint-Martin, 984 feet from Place de la République and 0.9 mi from Pompidou Center. It features a 24hour/7 reception. Very nice hotel. Clean room, everything you need is there. Lovely breakfast. Hotel Alhambra is located in a lively area of Paris, a 2-minute walk from the Marais district. It features a 1312 ft² private garden, free WiFi and a shuttle to the airport. I went to this hotel in September 2018 and returned in January 2019. Why? 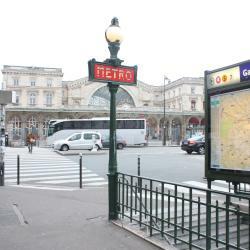 Hotels with great access to Pré-Saint-Gervais Metro Station!